With so many options — and so many cool things to see and do in every port — deciding on shore excursions for your Caribbean cruise is almost as tricky as winning the limbo contest on the pool deck. But some island activities are definitely don’t-miss. Here is our list of the best Caribbean shore excursions, daytrips that you can book through your cruise line or independent operators at each destination. The tropical New River meanders inland from the Belize coast to the ruins of Lamanai, an ancient Mayan city once lost in the jungle. 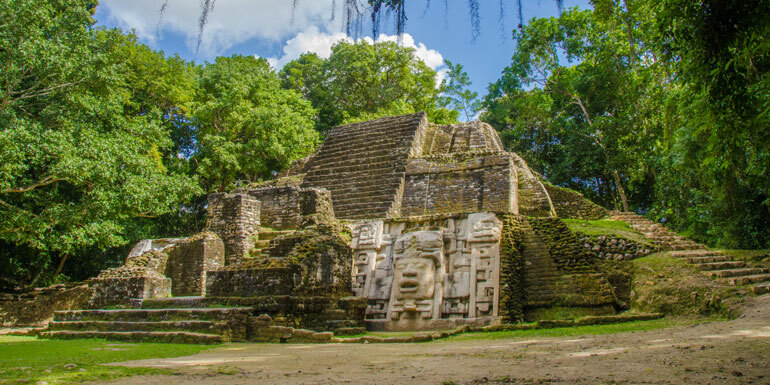 Shore excursions combine boating, walking, nature, and Mesoamerican history. Getting There: The riverboat wharf in Orange Walk village is 50 miles north of the cruise ship tender dock in Belize City. 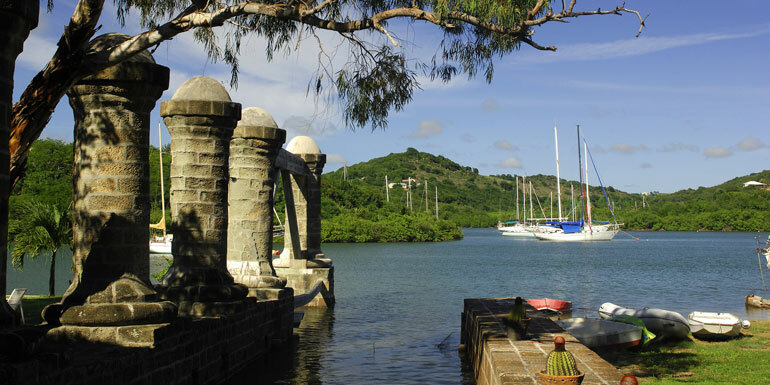 Must-Do Experiences: Scope for spider monkeys, crocodiles, iguanas, and birdlife along New River; climb the high pyramid for a view over the jungle; check out the Mennonite settlement at riverside Shipyard. Other Notable Excursions: Cave kayaking, zip line & cave tubing, horseback riding, historical tours, and snorkel & beach tour. 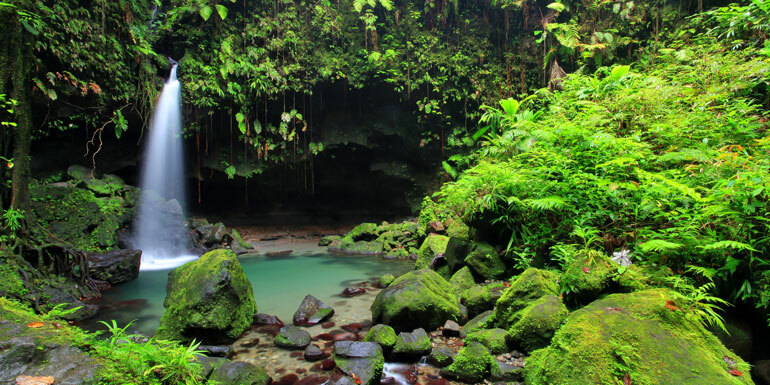 This lush rain forest reserve in the rugged Dominica highlands is one of the few places where cruisers can experience what the Caribbean was like before the arrival of mankind. The jungle-shrouded terrain boasts the richest biodiversity in the Lesser Antilles, as well as five volcanoes and three freshwater lakes. Getting There: The park is 8 miles east of Roseau, the island nation’s capital city and cruise port. Must-Do Experiences: Swim in the secluded Emerald Pool, hike the Valley of Desolation to the volcanic boiling lake, gawk at majestic Trafalgar Falls. Other Notable Excursions: Canyoning, hiking, tubing, rainforest & waterfall tour, and scuba diving. Getting There: Scuba and snorkel excursions depart from Grand Anse Beach, 3.5 miles south of the St. George’s cruise ship terminal. 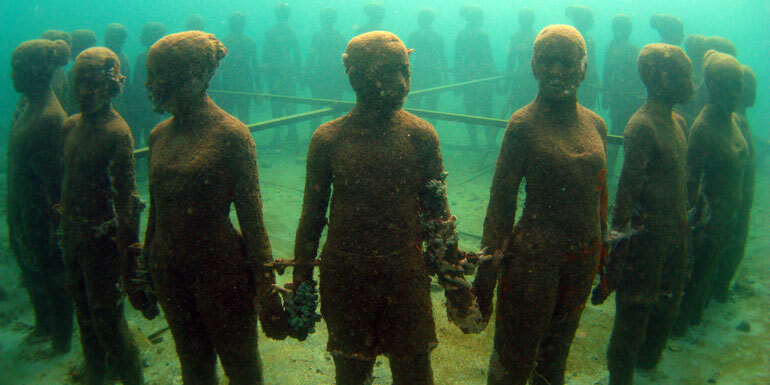 Must-Do Experiences: Scuba diving is the ideal way to explore the sculpture garden because you can get right down among the figures. But given the bay’s shallowness, snorkelers — especially those who can hold their breath for a few minutes — can easily savor the underwater art. Other Notable Excursions: Snorkeling, scuba diving, scenic tours, and private yacht sailing. One of the Caribbean’s oldest and most popular shore excursions is still one of the best: a chance to feed and frolic with stingrays on a shallow sandbank off Rum Point on the north shore of Grand Cayman. Getting There: Rum Point lies about three hours by road and 15 minutes by ferry from George Town and its twin cruise terminals. 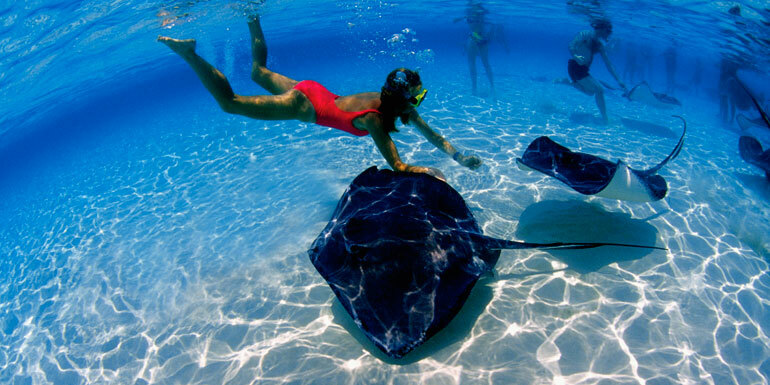 Must-Do Experiences: Cruisers can scuba or snorkel Stingray City. Most tours are via motorboat, but several island outfitters also offer adrenaline-packed personal watercraft excursions that culminate in a stingray swim. Other Notable Excursions: Private boat tour, scuba diving, jet ski & snorkel tour, and Harley Davidson tour. 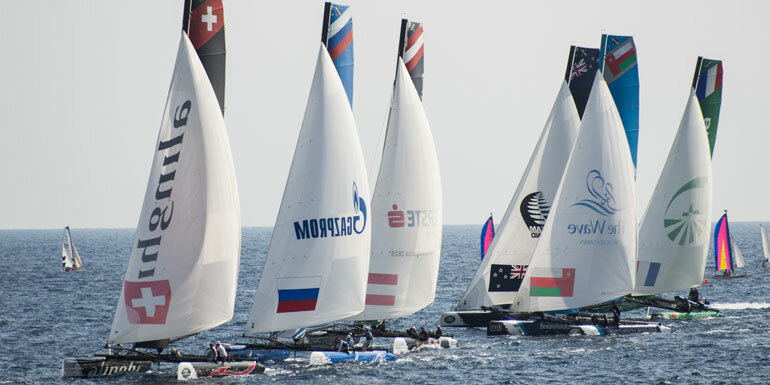 Five swift 12-meter yachts from the 1987 America’s Cup are now permanently based on the Dutch side of St. Maarten, where they race against each other with a mixed crew of visitors and veteran yachtsmen. Getting There: The America’s Cup headquarters is less than 1 mile from the Philipsburg cruise piers; you can easily walk there. Must-Do Experiences: Grind a winch, trim a sail, or take the wheel of a genuine America’s Cup yacht as it outraces an opponent on a course off St. Maarten. Other Notable Excursions: Beach bum tour, scuba diving, speed boat & snorkeling tour, ATV tour, art tour and shopping tour. Puerto Rico’s cocina criolla is some of the richest and most varied cuisine in the Caribbean. 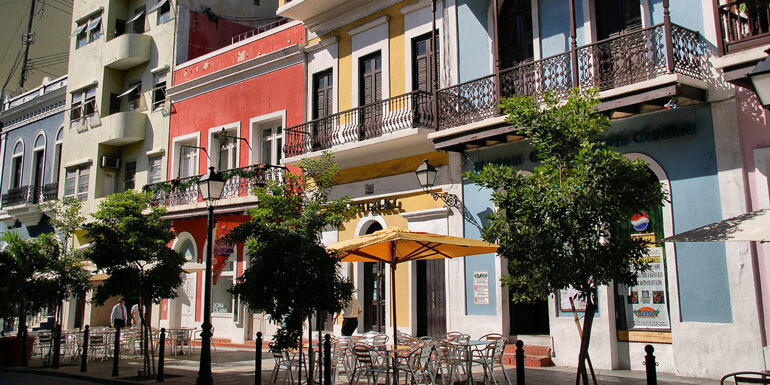 Old San Juan overflows with top-notch eateries serving dishes inspired by the island’s blend of Spanish, African, Taino Indian, and American culinary cultures. Getting There: The restaurants of Old San Juan are literally footsteps away from the main cruise ship piers on the peninsula’s southern shore. You can create your own tour of the culinary scene, or sign up for an organized one through your cruise line or third-party vendor. Must-Do Experiences: Sample mofongos, arroz con pollo, and camarones en cerveza; sip a piña colada in the city where it was invented; take a class that teaches you how to cook the Puerto Rican way. Other Notable Excursions: Walking tour, food tour, sunset tour, private jetboat tour, Marriott resort day pass, ATV tour, and botanical gardens. Named after the esteemed British admiral, Horatio Nelson, the dockyard was once a bastion of the Royal Navy in the Caribbean. Nowadays, the meticulously restored Georgian buildings harbor a museum, shops, pubs, and restaurants, while the docks cater to super yachts rather than naval gunships. Getting There: The dockyard complex is 11 miles south of the cruise piers in St. John’s, the island capital. Must-Do Experiences: Visit the Dockyard Museum and Dow’s Hill visitor center, get a massage at Akparo Salon & Spa, swig grog and munch fish and chips at the Copper and Lumber Store Hotel. Other Notable Excursions: Sting ray & snorkel tour, quad tour, Jolly Beach Resort day pass, art & culture tour, and yacht racing. Three of Jamaica’s most outstanding attractions are clustered in St. Elizabeth Parish on the south coast, a three-part shore extension that unveils a whole different side of the island than the north shore cruise ports. Getting There: St. Elizabeth is about 40 miles from Montego Bay and 80 miles from Ocho Rios. Must-Do Experiences: Swing on a Tarzan-like vine and lounge in the cool teal-colored pools at YS Falls; spot crocodiles in the Black River swamp; sip the Caribbean’s best rum at Appleton. 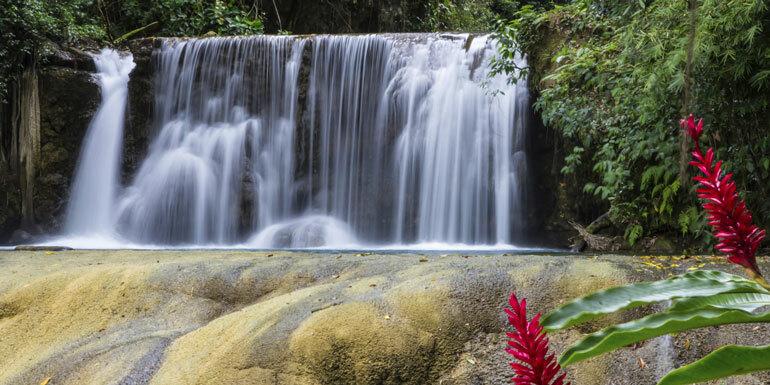 Other Notable Excursions: Dunn's River Falls, Dunn's River Falls & tubing, white water rafting, horseback riding, Mayfield Falls, bird sanctuary, zip line, Sunscape Splash resort day pass, Grand Palladium resort day pass, Hyatt Zilara resort day pass, and Hilton Resort day pass. A Caribbean version of the Titanic disaster, the “unsinkable” Royal Mail ship sank during an 1867 hurricane, resulting in the loss of 123 passengers and crew members. 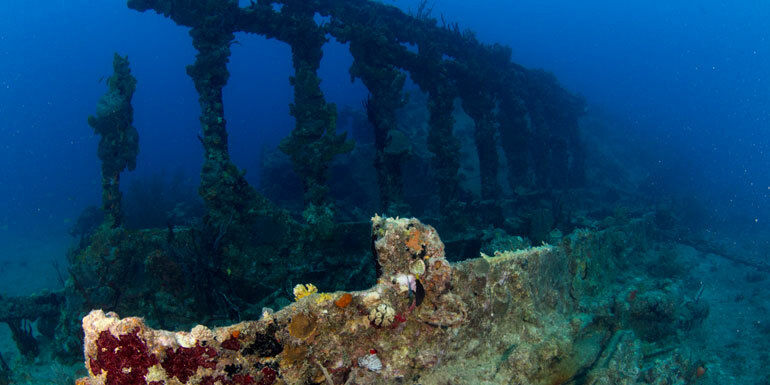 The incredibly well-preserved wreck is now a mecca for divers and snorkelers. Getting There: Scuba and snorkel excursions to the Rhone wreck depart from both Road Town on Tortola and Spanish Town on Virgin Gorda. Must-Do Experiences: Hold your breath, submerge, and touch the barnacle- and coral-encrusted rudder post; look out for creatures like barracuda, moray eels, and octopuses that shelter in the wreck. Other Notable Excursions: Swimming with dolphins. What’s your favorite shore excursion in the Caribbean? Wow, even after all our cruises we found a lot of good suggestions in this article! The only one we’ve completely done is Stingray City; we've also eaten in Old San Juan and visited the rain forest in Dominica but not really as described here. Thank you so much for reminding us that there are always new things to experience even in ports that we’ve visited many times!